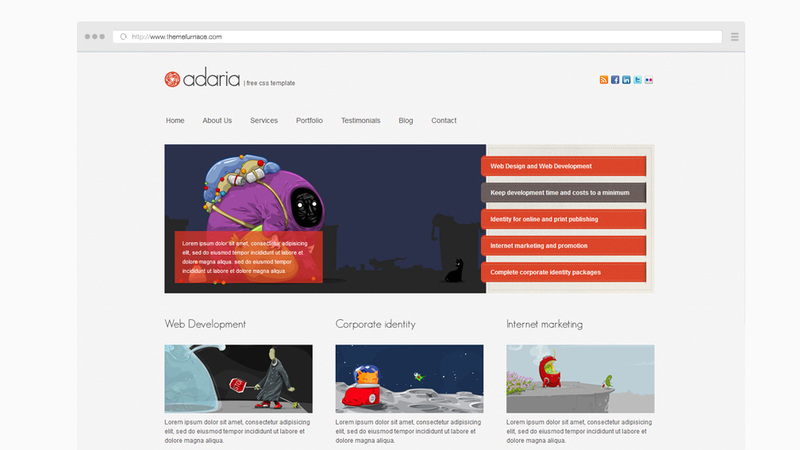 Adaria is perfect for portfolios and creative websites. It has a tidy layout with logo and social media menu at the top, a tabbed slider for your images, space for blog posts, news, testimonials and a contact section. The package includes homepage, about and contact page templates for you to customize.